Melancholia is a commonly experienced feeling, and one with a long and fascinating medical history which can be charted back to antiquity. 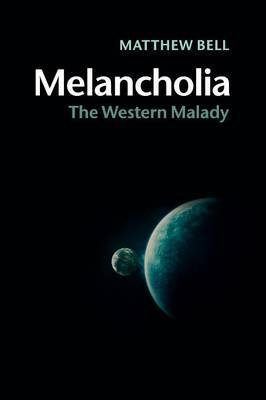 Avoiding the simplistic binary opposition of constructivism and hard realism, this book argues that melancholia was a culture-bound syndrome which thrived in the West because of the structure of Western medicine since the Ancient Greeks, and because of the West's fascination with self-consciousness. While melancholia cannot be equated with modern depression, Matthew Bell argues that concepts from recent depression research can shed light on melancholia. Within a broad historical panorama, Bell focuses on ancient medical writing, especially the little-known but pivotal Rufus of Ephesus, and on the medicine and culture of early modern Europe. Separate chapters are dedicated to issues of gender and cultural difference, and the final chapter offers a survey of melancholia in the arts, explaining the prominence of melancholia - especially in literature.